We have written a tutorial for Rotary Encoders using a Microchip microcontroller but now would be a good time to make an Arduino UNO version. With a rotary encoder we have two square wave outputs (A and B) which are 90 degrees out of phase with each other. The number of pulses or steps generated per complete turn varies. 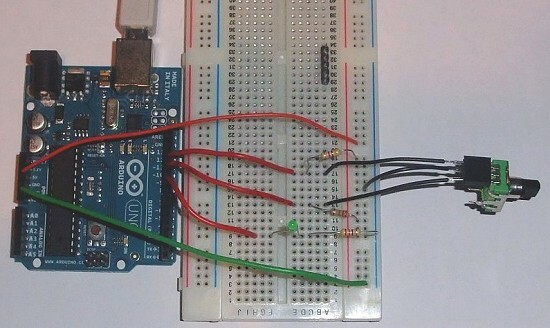 The Sparkfun Rotary Encoder has 12 steps but others may have more or less. 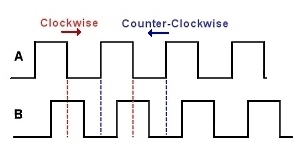 The diagram below shows how the phases A and B relate to each other when the encoder is turned clockwise or counter clockwise. Every time the A signal pulse goes from positive to zero, we read the value of the B pulse. We see that when the encoder is turned clockwise the B pulse is always positive. When the encoder is turned counter-clockwise the B pulse is negative. By testing both outputs with a microcontroller we can determine the direction of turn and by counting the number of A pulses how far it has turned. Indeed, we could go one stage further and count the frequency of the pulses to determine how fast it is being turned. We can see that the rotary encoder has a lot of advantages over a potentiometer. 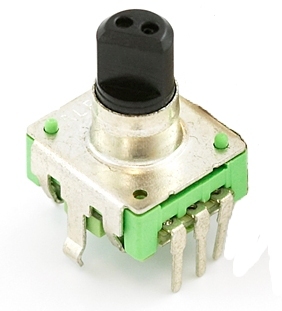 We will now use the rotary encoder in the simplest of applications, we will use it to control the brightness of an led by altering a pwm signal. 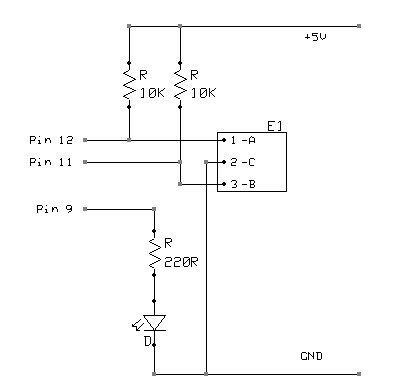 We will use the easiest method to read the encoder, that is the use of a timer interrupt to check on the values. And the source code for the sketch is shown below. It builds on the previous tutorial where we used the millis() function to give us a timing interval. We use the same idea here but use 5ms as the elapsed time check (5ms = 200Hz). Hopefully, the code should be easy enough to understand and easily modifyable to put the Rotary Encoder to other uses.